Immerse yourself in the rocks and minerals of our Earth. 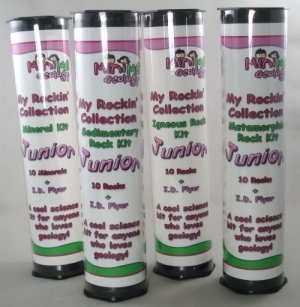 The My Rockin’ Collection Junior kits are the perfect introduction to geology for kids and adults alike. In this full set of four kits, you will receive Minerals, igneous rocks, metamorphic rocks and sedimentary rocks. Each kit includes 10 samples, an identification poster and a plastic tube for clean and easy storage. 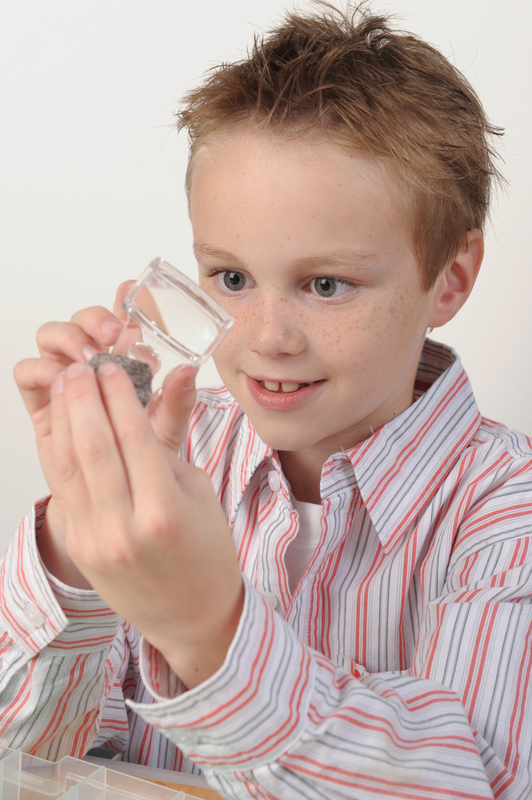 Kids love this kit because of the unique shapes, colors, textures and properties of the rocks and minerals. Teachers and parents love the kit because they teach deductive reasoning and thinking skills. Great for ages 6 to adult. Samples obtained worldwide. Assembled in the USA. Not for Children Under 3 years. Adult Supervision Required.